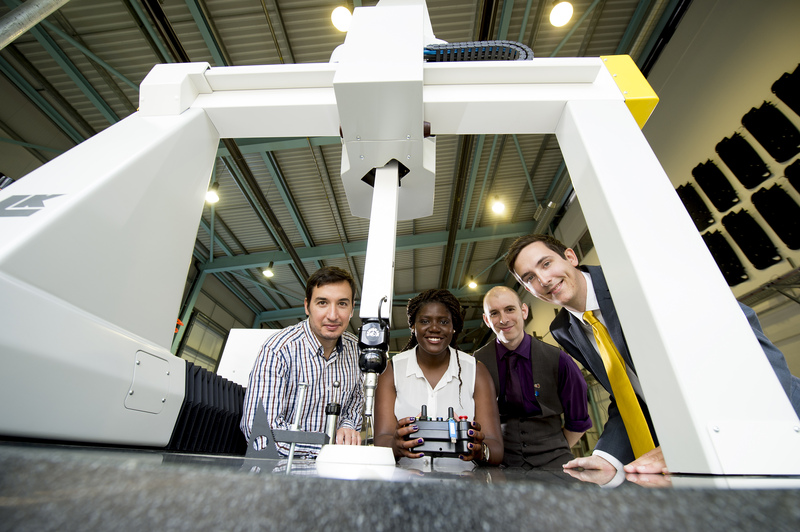 The WMG Academy for Young Engineers in Coventry has received a Coordinate Measuring Machine (CMM) on loan from WMG, at the University of Warwick. The machine will assist students with verification and measurement when producing parts, ensuring they are trained in the most efficient industrial processes and with the same equipment used by world leading manufacturing companies. This knowledge will arm students with valuable skills that they will be able to take with them during their studies and beyond, into industry. Nikon Metrology, who design and build the CMM machines, are providing complementary training to the WMG Academy technicians and students to ensure they get the most value out of the equipment. The machine will contribute to “creating, doing and designing” in a technology-rich, challenge-led learning environment where teamwork and creativity are highly valued skills. It will enable the students to measure the geometrical characteristics of an object. The new machine will assist in the production of parts that conform to strict design specifications to ensure quality manufacturing. The machine offers one of the most accurate ways of measuring and capturing dimensional data, enabling the positions of, and relationships between important points and features to be characterised and compared to design intent and to other parts created from the same process. The CMM in question, on loan from WMG, with the support of Nikon Metrology, will repeatedly measure to accuracies better than 10 microns (that’s 0.01mm) and will give the students a quantifiable insight into both the accuracy of their parts and the capability of the manufacturing process used to make them. "The Nikon CMM machine will allow our students to learn about how quality control and quality assurance is applied in industry, it will highlight to our students and demonstrate the importance of tolerances with design showing how they are measured. It is a brilliant asset for the Engineering hall and the Academy." WMG Academy for Young Engineers has two sites, one in Coventry and one due to open in Solihull in September 2015. The WMG Academy is turning the traditional approach to education on its head by putting real, business-focussed, practical problems and challenges at the centre of the curriculum. Students learn by doing things, making things, designing things and creating things – just like businesses do every day. Team work is the norm. In this way students will be much better prepared for the challenges which follow, whether they are in companies, in further education or at University. Today WMG, an academic department of the University of Warwick, is one of the world’s leading research and education groups, with over 500 people working across six buildings on the Warwick campus plus collaborative centres in ten countries. They have an annual programme of £180m which includes industrial and in-kind support. The University of Warwick is one of the UK’s leading research universities. It is consistently ranked in the top 10 of all the University league tables produced by UK national newspapers, and is ranked 7th among the UK's 100 universities for quality of research.